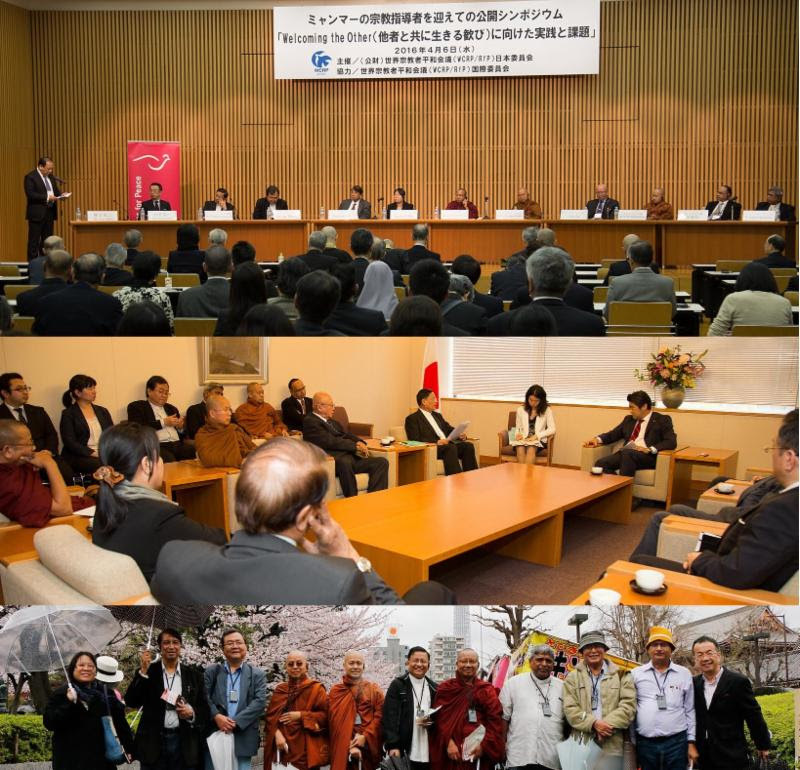 (April 8, 2016 | Tokyo, Japan) – Religious leaders in Religions for Peace Myanmar (RfP Myanmar), together with representatives of Ma Ba Tha (Association of the Protection of Race and Religion), visited Japan from 4-8 April 2016 to meet with the Japanese Vice Minister of Foreign Affairs, parliamentarians and religious leaders on partnerships to advance peace and democracy in Myanmar. As the new Daw Aung Sung Suu Kyi government has just been inaugurated, Myanmar is faced with ongoing ethic conflicts, including between Rohingya Muslims and Rakhine Buddhists in Rakhine state. This conflict is exasperated by the rise of a nationalistic strain of Buddhism that is fueling Islamophobic hate speech and violence. The programme in Japan included significant meetings with Japanese Buddhist and other religious leaders useful in building Peace. RfP Myanmar was established in September 2012 by leaders of the country’s four largest religious traditions (Buddhism, Christianity, Islam and Hinduism). Since its founding, RfP Myanmar, along with its National Interfaith Youth and Women of Faith Networks, has been working to reject violent extremism, protect the well-being of children, nurture an inclusive and harmonious society, and advance child protection and peace education projects. The RfP Myanmar delegation to Japan included senior-most religious leaders.